The 2,5 million Bambara people, form the largest ethnic group within Mali. They occupy the central part of the country, and live primarily from agriculture. The Bambara people are predominantly animists, though the muslim faith has been spreading amoung them. The Bambara kingdom was founded in the 17th century and reached its peak between 1760 and 1787. In the 19th century religious wars broke out. 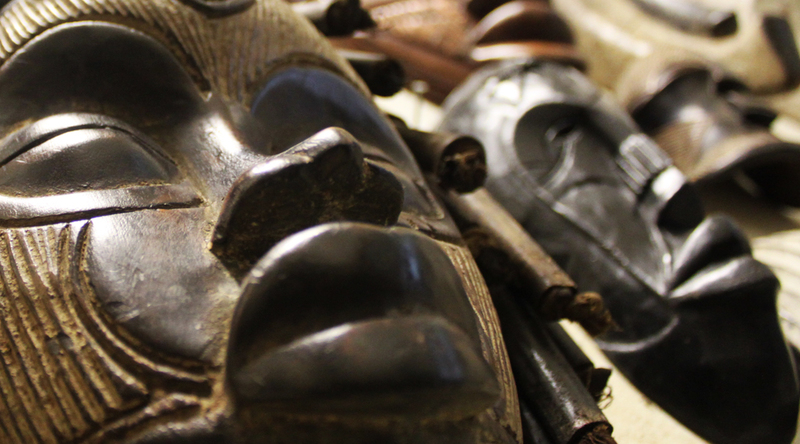 The artistic tradition of the Bamana is rich, filled with pottery, sculptures, beatiful bokolanfini cloth, and wrought iron figures fashioned by blacksmiths. They also have a rich masking tradition, used as a form of social control and community education . The stylistic variations in Bambara art are extreme and display either stylized or realistic features.